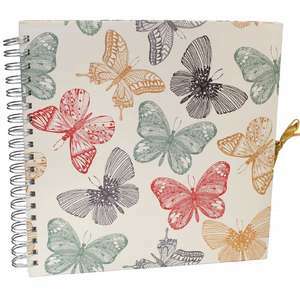 Perfect for scrapbooking, the cover of this album has the most beautiful, delicately drawn butterflies in muted, reds, greens black and gold colours, printed onto plain, beige background. Every cream page is made from flexible card and measures approximately 10 inches square and lies flat when the album is open due to the strong metal ring binding that holds them all together. The pattern is replicated on the back of the album, to give additional interest and if using this Scrapbook Butterfly album just for photos, it can take upto 100 6x4 inch photographs. The images can be stuck onto the page by photo corners, double sided mounts or photo spray (sold separately) and there is plenty of room, to write notes or draw pictures around the outside. 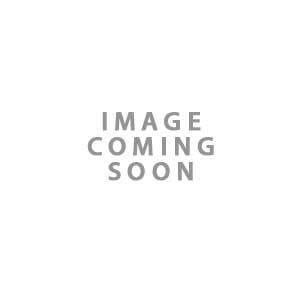 This scrapbook photo album has acid free and photosafe pages and will be perfect for all types of scarpbooking accessories.